Lynch Bages is surely one of the most underrated chateaux when it comes to the 1855 classification of Bordeaux wines, belying its fifth growth status and producing outstanding wines year on year. The owner and proprietor, Jean-Michel Cazes, is responsible for improving quality since the 1980s and has built on a loyal UK following to now be one of the most recognisable Bordeaux brands. 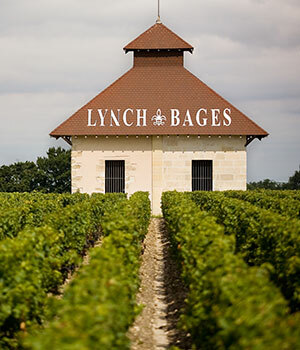 In particular, demand for Lynch Bages is high in both the US and Asia. Lynch Bages is quintessential Pauillac. Highly consistent in quality, with trademark Cabernet Sauvignon character of black fruit, pencil shavings and leather. The 'Poor Man's Mouton', as it has been known, offers absolutely top flight quality and some of the best value fine wine money can buy. Look out especially for the 1990, 1996 and 2000.